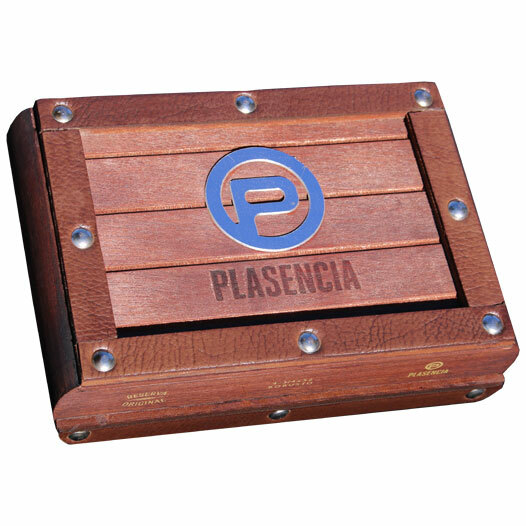 Plasencia Reserva Original is no ordinary cigar. Using 100% Nicaraguan tobaccos throughout, the cigars boast the unusual statistic of being the world's first and only organically grown premium cigar! The cigar is a sequel, of sorts, to the Plasencia's former Reserva Organica brand, using an overall similar blend makeup but featuring a modernized appearance and updated sizes. As Plasencia describes the brand, "Reserva Original has the very same taste that captivated the Europeans more than five centuries ago, when they arrived in the New World." Essentially, this is the closest you can get to what Christopher Columbus would've encountered upon discovering Nicaragua in 1502. Plasencia Reserva Original uses Nicaraguan leaves throughout, focusing on the country's Estelí and Jalapa regions. These leaves are then processed and aged for a minimum of five years before being rolled into the final product. This is a cigar that should be experienced firsthand, allowing the enthusiast to connect with the craft of premium cigars on a deeper level, providing a peek into the smoking profiles of the cigars of yesteryear.